Hey. I am a friend of John Cade and Patrick Moore. I got here from John’s blog. I just wanted to tell you to be sure and buy all the film for your Polaroids now. They are not making the instamatic film anymore. golriz: polaroids are my favorite too. you should go to savepolaroid.com and fight for their life. 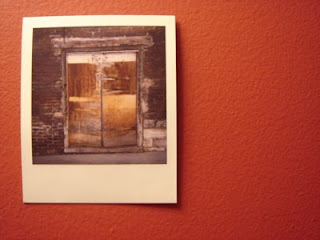 also, i did a whole series on doors a while back, i think i have about 60 great door photos. i’d love to see what you do!